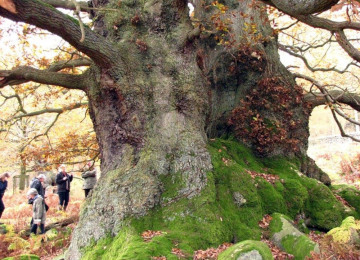 Value in Trees will safeguard genetic stock of veteran trees and plant more native tree species in Derbyshire. Trees are enormously important in our lives. We derive wood and medicines from them. They produce oxygen and remove carbon dioxide emissions from the atmosphere. Veteran trees, in conservation terms, are long-lived, large in girth and overall size. 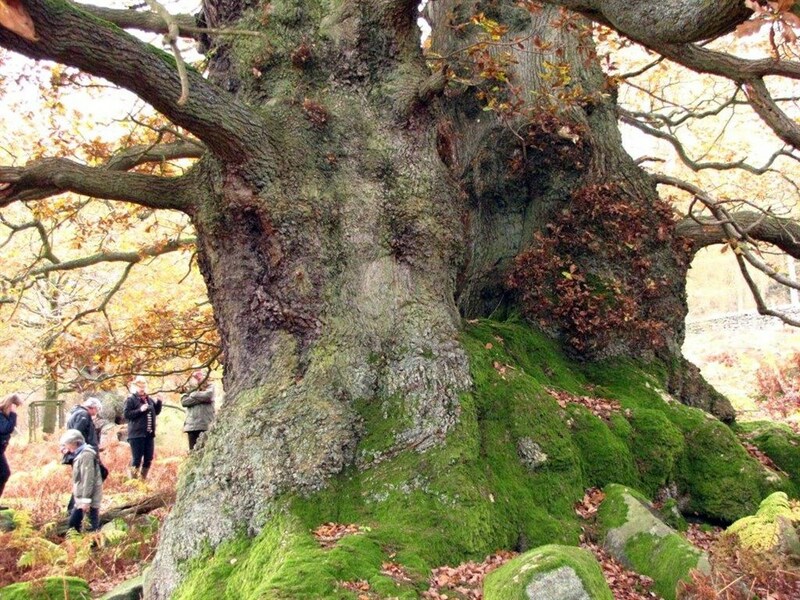 Some of them are over 1,000 years old! 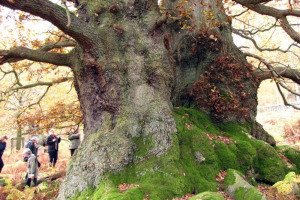 They are a particularly favoured habitat for wildlife which includes insects and spiders, birds, bats, beetles, mosses, lichens, fungi and some scarce species. This project is in its second year of a three-year lifespan. It has to raise £5,000 now to ensure Year Two goes ahead. 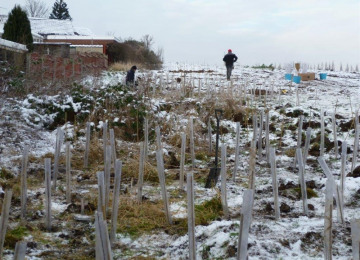 Please help to make the planting of planned trees happen this year. 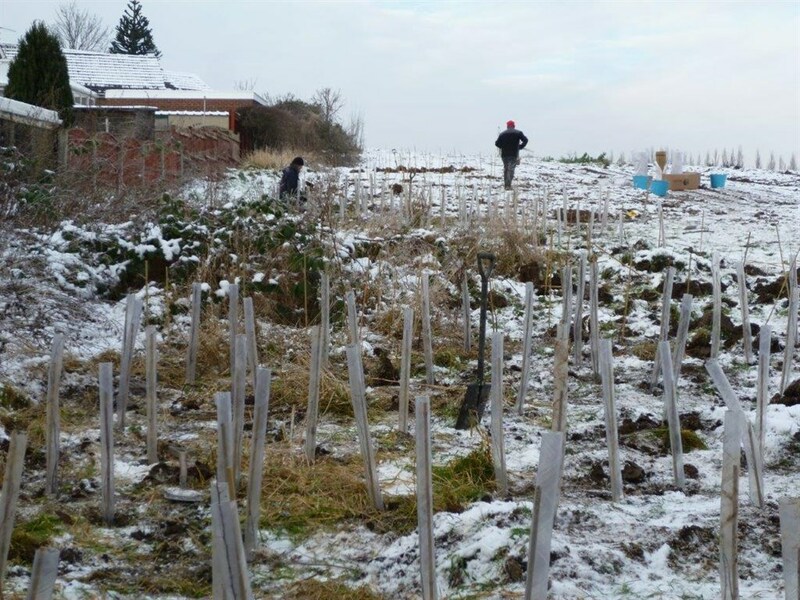 The first year saw 10,200 trees planted, the second year will see 9,200 trees. Native species have been planted and additionally, we will concentrate on nurturing saplings grown from seeds collected from veteran trees. Focussing on veteran tree stock will mean investing in the very long and healthy future of the frequented green spaces around Derbyshire. 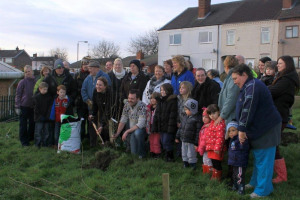 Organise community event of tree planting. Train volunteers in after-care of new trees. It is succeeding because of a wonderful community team effort. The project requires volunteers, community groups, helpful garden centres/nurseries and schoolchildren to make it all work. Derbyshire Wildlife Trust is a grassroots organisation, whose membership is drawn from all sectors of society. We have a good track record in garnering support from local groups, schools and the public. In Year One, we engaged with the community wonderfully, and achieved our target planting - see who helped us in the last section. We will engage the community again in Year Two and no doubt fill the places for volunteers, helpers, planters and trainers. However, because we have less funding support in Year Two we need additional funds from appeals like this one. Please donate to this project. Thank you. 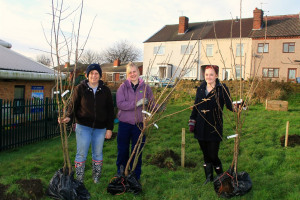 The planting of new trees will take place in 50 or more locations, which include urban areas of Derby, Chesterfield, Ashbourne, Long Eaton and semi-rural sites. The participating nurseries include: Markeaton Park Social Health Project, Shipley Green Health, Hardwick Hall, Haddon Hall. Veteran tree seed propagators include: Erewash Tree Wardens, Derby Tree Wardens, Peak National Park rangers, individual volunteers. 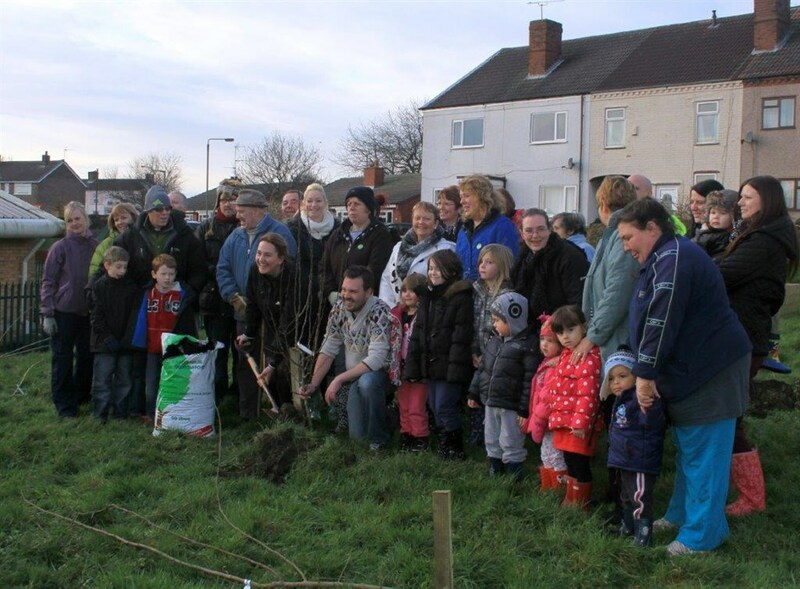 Local community groups involved in planting include: National trust volunteers, Rugby Club members and families, Chesterfield scout group, Tupton Primary, Fitz Herbert Primary, Brookfield Community School, Tibshelf Secondary, Holbrook School, Rowsley School, Lea Brook Valley Volunteers, Friends of Findern Footpaths Group, Friends of Aston Brickyards Group plus other 'friends of' groups', Butterfly Conservation, Beardwood Natural Living Project, Glossopdale Action for Allotments, Incredible Edible Glossop, Glossopdale Transition, Risley Parish members. 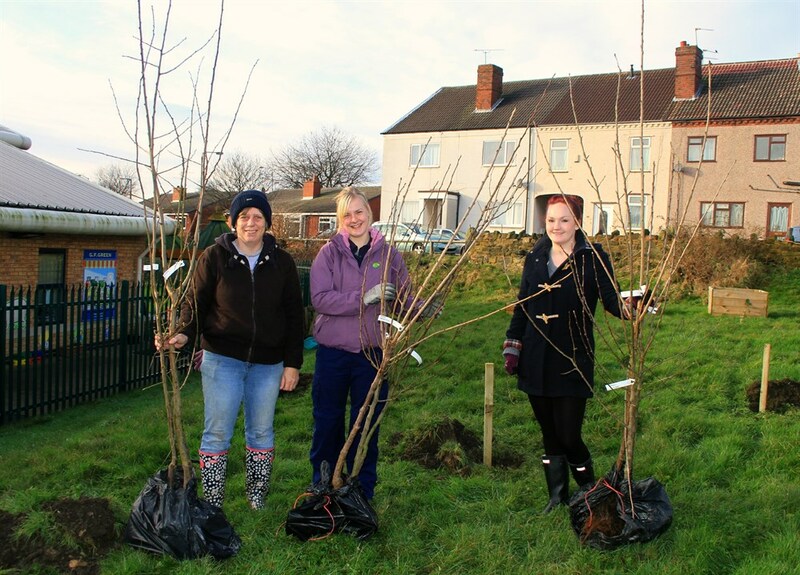 Derbyshire Wildlife Trust champions the cause of wildlife and wild spaces throughout Derbyshire. As the largest conservation charity in the county, we use our strengths in collaboration with other individuals and organisations to make significant improvements to the environment in Derbyshire. 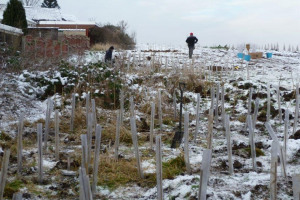 Our objectives are: to create living landscapes in Derbyshire, inspire people about wildlife, and stand up for wildlife and the natural environment. We do this when we manage 42 nature reserves, advise landowners and council planners on wildlife issues, run educational sessions at schools and in the wider community, offer volunteering opportunities, look after 14,000 members, appeal to a wide audience from children to corporates. Currently we are standing up against the badger cull and advocate the vaccination route instead. Our appeal for funds to deliver a vaccination programme has attracted strong support: in less than four months our thermometer has topped 84% of its target sum. 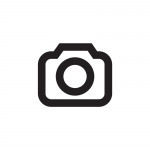 Project Delivery Manager: Derbyshire Wildlife Trust The Project Delivery Manager takes legal responsibility for receiving and spending the funds raised and ensuring the project is delivered. Contractor: Derbyshire Wildlife Trust The team responsible for building or installing the project.